For sewer jetting only and is not suitable for use outside of sewer or drain pipes cleaning applications. 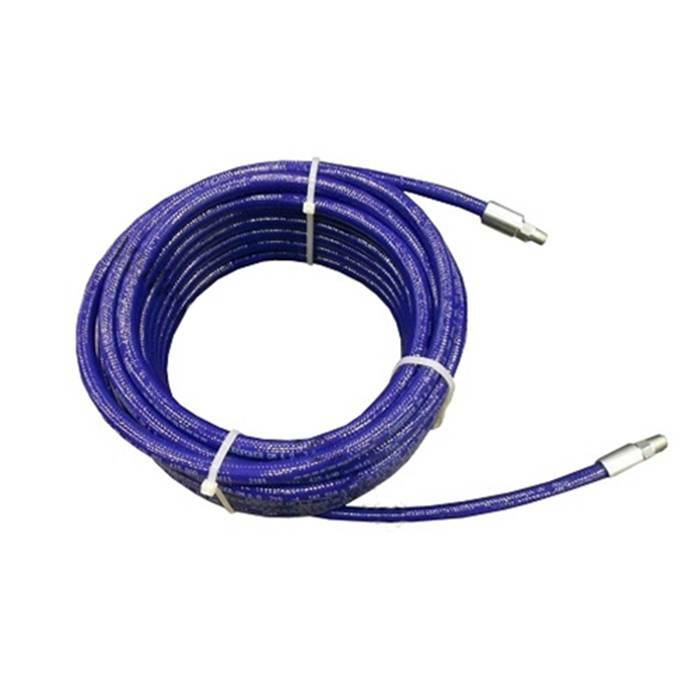 Slither High- Pressure thermoplastic sewer cleaning hose from Piranha Hose Products is available with an optional polyether-urethane cover that is ultra slippery, allowing the hose to maneuver around and through difficult sewer bends encountered in residential and industrial sewer cleaning applications. This ultra slick cover is also available for any sewer hoses Piranha manufactures. A high pressure, high performance hose with steel braid reinforcement for strength and guaranteed electrical conductivity. Offers optimum resistance to a wide range of chlorinated solvents, and other chemicals. Extremely durable. Polyurethane pin-pricked cover is Abrasion & Chemical Resistant.